Work on show in St Ives, Cornwall. I have some work on show in the Anima-Mundi winter exhibition in St Ives at the moment. The piece shown here is called ‘Margate Imperialists 1930s’. It is about the size of A4 and is drawn with silver on gesso on board. 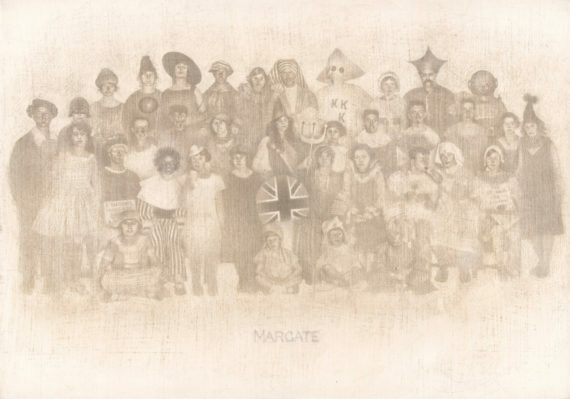 The work is based on a found postcard showing people dressed in fancy dress, probably in the mid 1930s, somewhere in Margate. Their choice of costume is interesting and says something about that moment in time and that place at that moment in time. The presence of ‘Britannia’ in the centre of the group leads me to hazard a guess that they are present at an Empire Day event. This is one of a series of drawings based on what I can see in a small postcard found in an antique fair. It’s a kind of souvenir of peoples’ attitudes about identity. 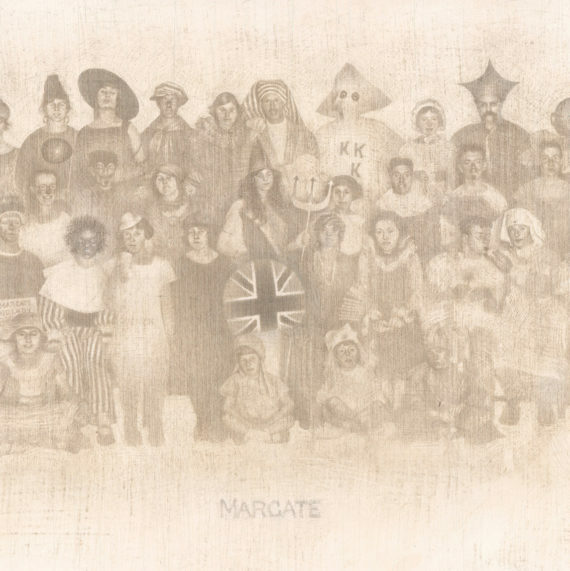 Any similarities between anyone in the drawing and anyone presently living in Cliftonville or Margate may or might not be coincidental.